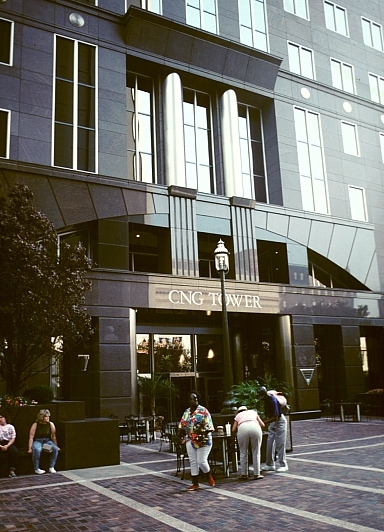 CNG Tower by Kohn, Pederson, Fox. 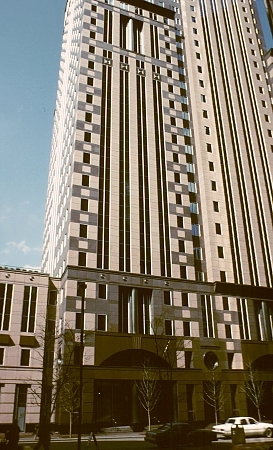 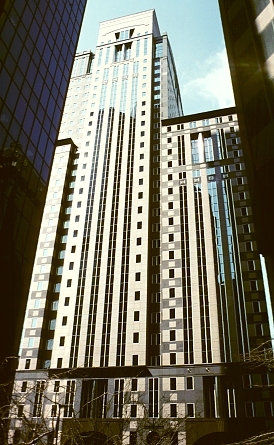 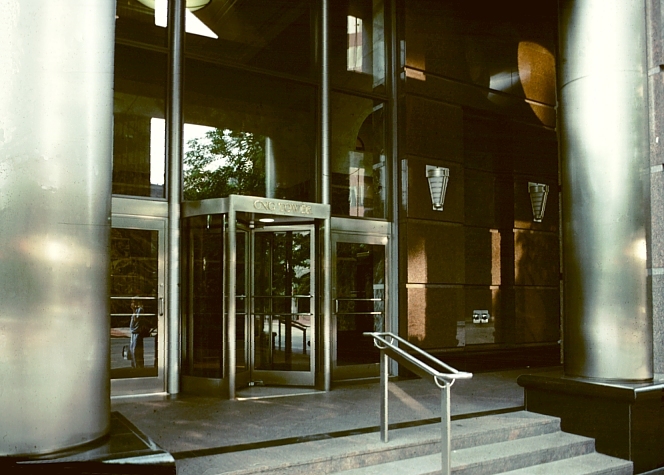 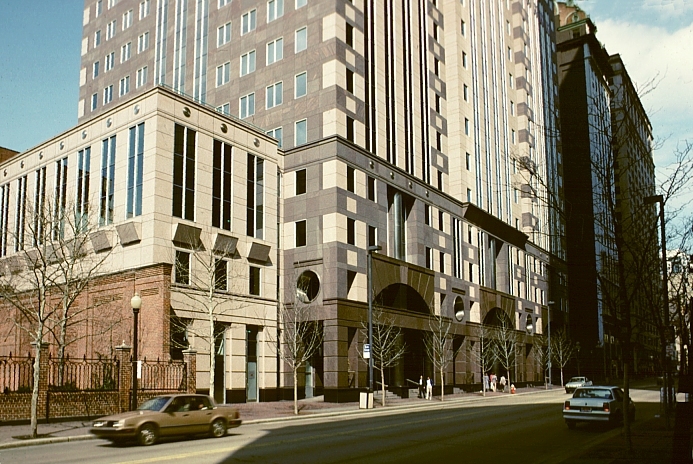 This post modern skyscraper with its clear sense of a base and top alludes to early skyscrapers. 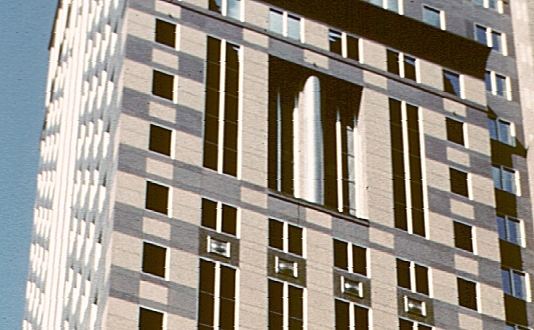 (See the Wainwright Building, for example.) Still the use of traditional elements (in contemporary materials) is quirky and unusual. 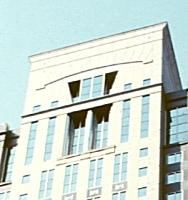 Note the arched pediment, the fluted pilasters, and the non-structural engaged columns--all traditional elements used in a typically post-modern untraditional way. 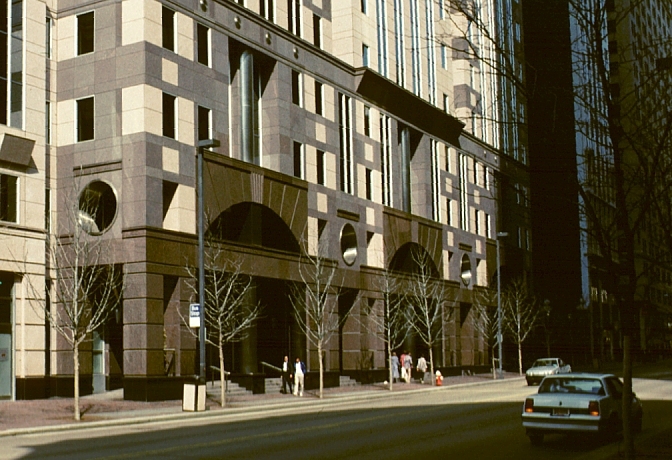 See also the Procter & Gamble Headquarters in Cincinnati by Kohn Pederson Fox.